At home in the world but even more so on the golf course: in its first year of existence, the Porsche Golf Circle has developed into a popular meeting place for golf-loving Porsche customers from all over the world – and therefore into a success story with a highly promising future. In autumn 2017, a symbolic tee off in Portugal marked not only the international, app-based community’s start in the digital world but also the start of unique event trips. One led the exclusive circle of customers to the spectacular Abama Golf Resort in Tenerife. 72 members from 11 nations were proof of the high degree of acceptance that the golf community has gained in a short period of time. The next highlight, a practice session with the Masters Champion Patrick Reed scheduled for the start of 2019, is already awaiting. 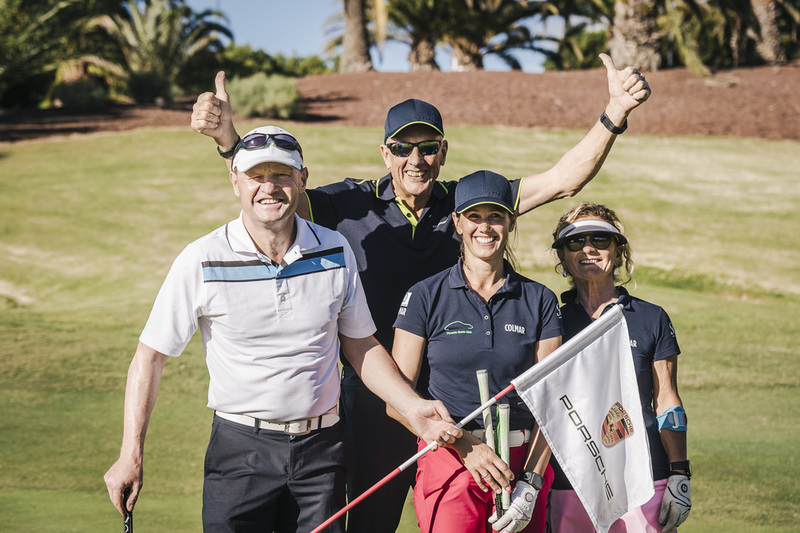 A tournament at the Abama Golf Course, golf clinics with the PGA pros Frank Adamowicz, Torsten Giedeon and Craig West as well as memorable culinary excursions brought an eventful first year for the golfing community to a close. “Our members travel to our events from so many countries and the atmosphere is excellent right from the start. Everybody speaks the same language – golf. It really does make the Porsche Golf Circle something special,” says Sandra Siegloch, Manager Porsche Community Management. Every Porsche customer can become a member of the Porsche Golf Circle. The plat-form offers an app for both Android and iOS. Members can use them to network with other people in the community. Additionally, there is a wide range of information about Porsche and golf. It includes exciting insights, tips and stories relating to the community. What’s more members can regularly meet up at top international events. Further information about Porsche ’s activities in golf can be found at www.porsche.com/golf. Images in the Porsche Newsroom (newsroom.porsche.com) and in the Porsche press database (presse.porsche.de).